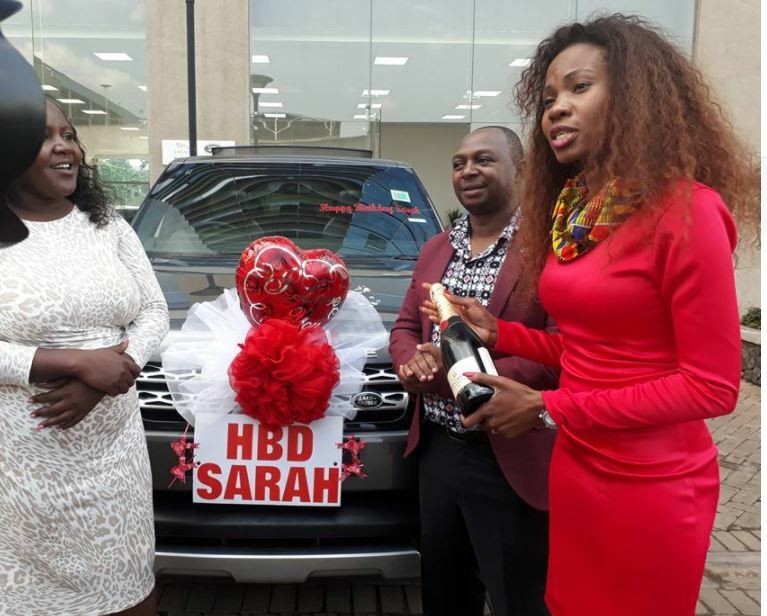 A Kenyan wife has sparked the envy of other Kenyan women following a grand splash-out birthday party thrown for her by her husband, that brought business in the city of Nairobi to a standstill. 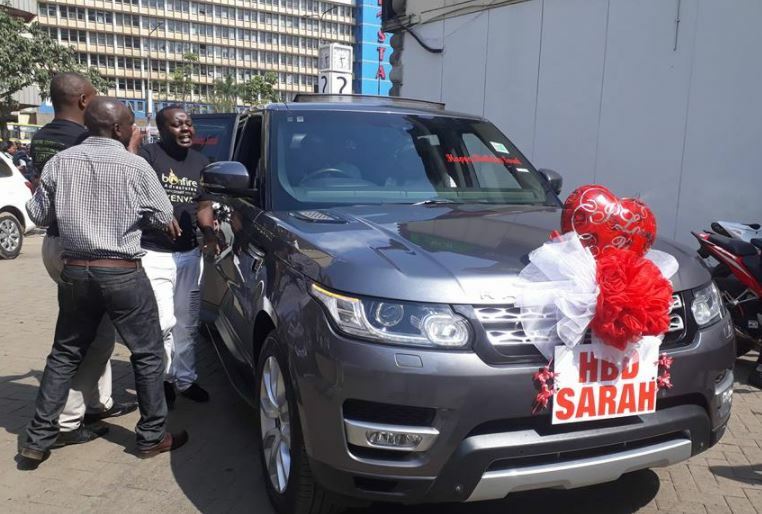 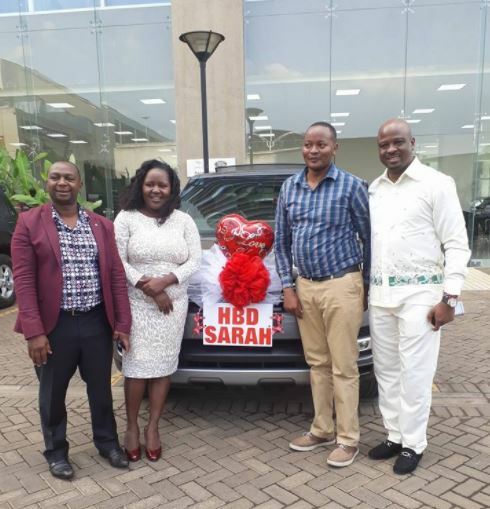 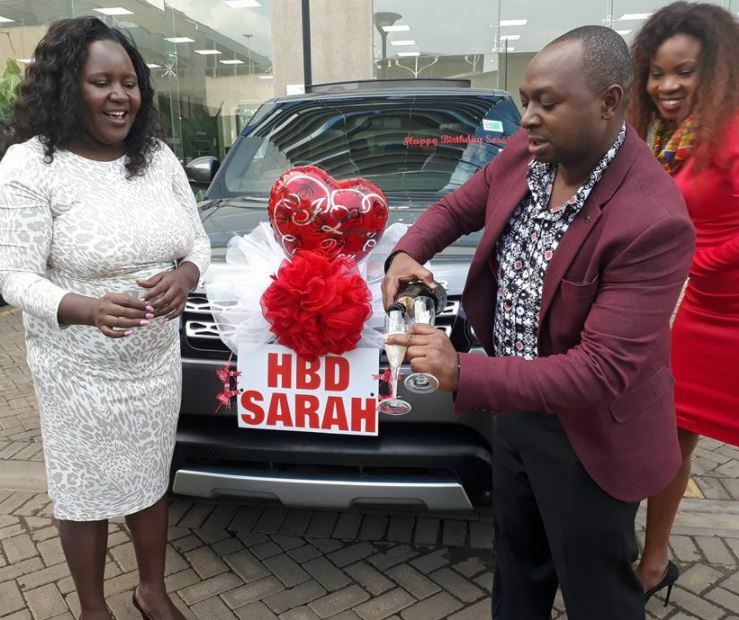 The generous husband, Bonfire Adventures EO, Simon Kabu, capped the party by surprising his wife with a sleek new Range Rover, which was delivered in a motorcade that trailed through koinange street leading to the Bonfire AAdventures offices at Yala Towers. 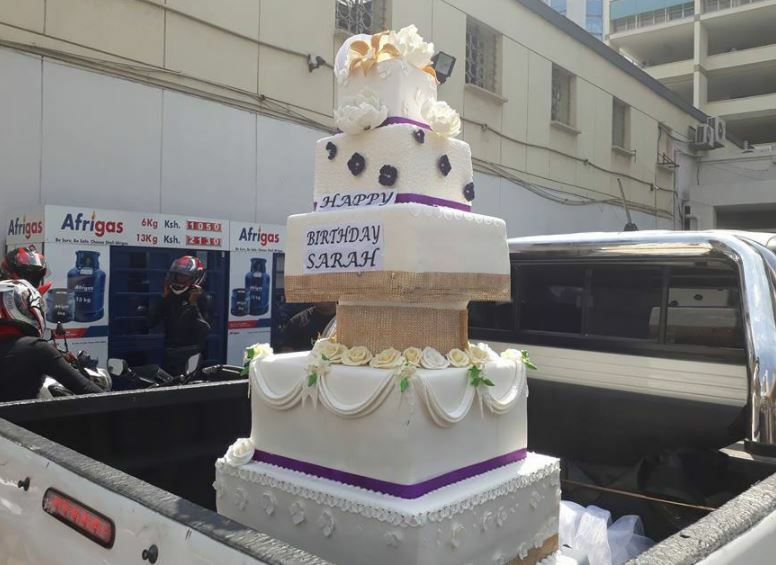 The motorcade included superbikes and a pickup truck carrying a gigantic six-tier cake. 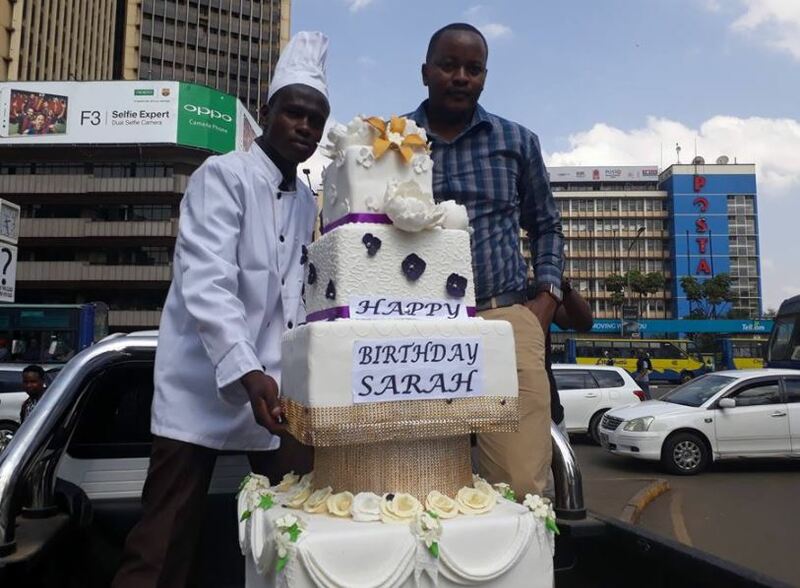 Onlookers who were attracted by the grand party where treated to free cake. 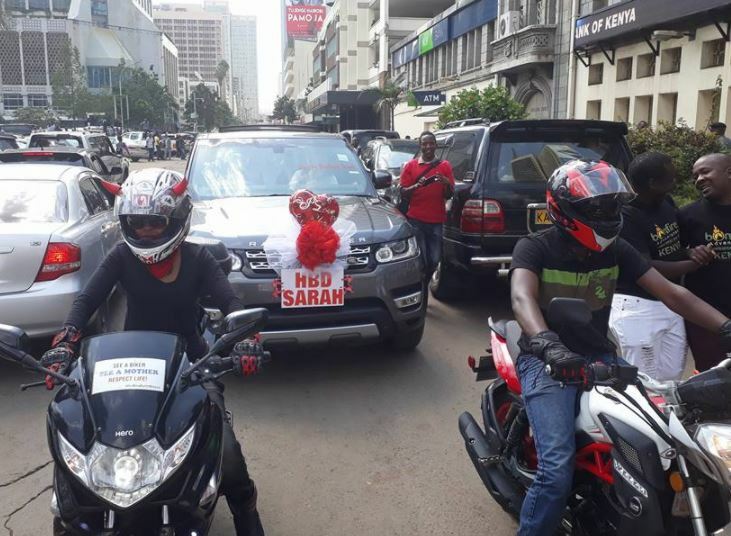 The couple are founders of a multimillion tour and travel company known as Bonfire Adventurs.